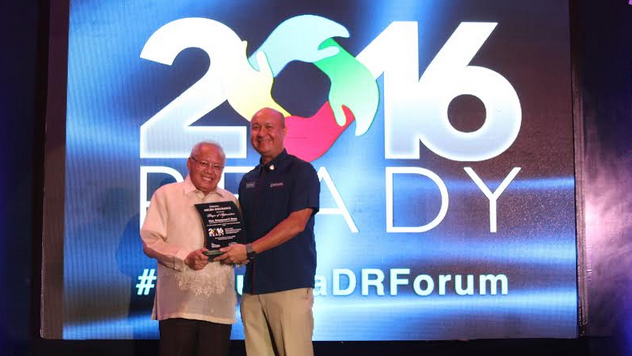 Disaster Resilience Forum highlights role of microinsurance in recovery after calamity. TIMELY PARTNERSHIP. The microinsurance sector, led by Cebuana Lhuillier Microinsurance, is now aiming to help specific government institutions to further offer assistance to victims of calamities across the country through more affordable and accessible insurance products. In this photo: Insurance Commissioner Emmanuel Dooc (left) and Cebuana Lhuillier President and CEO Jean Henri Lhuillier (right). MANILA, Philippines – Extreme weather patterns have been evident in the country in the past several years, Project NOAH executive director Dr. Alfredo Mahar Franciso Lagmay said. In the 2014 World Risk Report published by the Institute for Environment and Human Security of the United Nations University, the Philippines was identified as the second most disaster-prone country in the planet, following Vanuatu. This comes as no surprise as the memories of the devastation of typhoons Ondoy in 2009 and Yolanda in 2013 still linger. Thus, microinsurance would be helpful in making more Filipinos disaster resilient. Microinsurance is an insurance system that can possibly address the problems and needs after a calamity, especially when it comes to financing overall recovery of survivors. To date, data from IC showed there are now over 100 microinsurance agents that are selling such non-traditional insurance products nationwide. Those businesses are offering more than 122 microinsurance products that have been duly approved by the commission. Following the Yolanda aftermath, the overall local microinsurance sector settled about P500 million ($10.46 million) to roughly 129,000 claimant-families, mostly situated in the areas affected by the calamity. As of 2015, microinsurance is covering up to 28 million Filipinos, according to Microinsurance Network and the Philippines has the highest coverage of microinsurance among member economies of the Asia-Pacific Economic Cooperation (APEC). The number of insured individuals by such product rose to 28.1% in 2014 from 20% in 2012 and is expected to further rise this year. COLLABORATIVE EFFORT. The microinsurance sector is now coordinating with specific government institutions to help promote financial inclusion nationwide. In photo (from left): Felino Castro V, Assistant Director of the Disaster Response and Assistance Management Bureau of the Department of Social Welfare and Development; Undersecretary Alexander Pama, Civil Defense Administrator and Executive Director of the National Disaster and Risk Reduction and Management Council; and Rosalina Bactol, Chief of the Insurance Commission's Microinsurance Division. 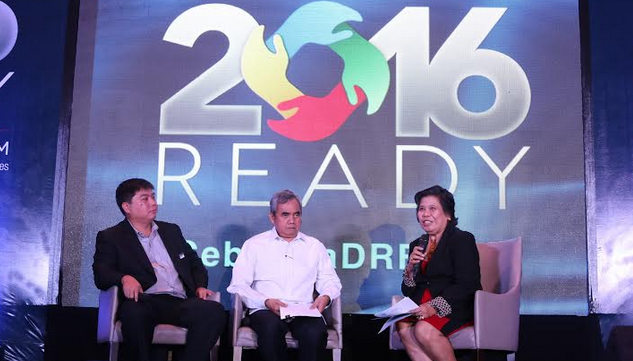 To date, major parties from the public and private sectors are now joining forces to boost disaster resilience and promote preparedness for calamities across the country. “Calamities and disasters impact everyone, especially the poor and most vulnerable communities,” said Jean Henri Lhuillier, president and CEO of Cebuana Lhuillier, which co-organized the forum, together with the Insurance Commission (IC) and the GIZ (Deutsche Gesellshaft fur Internationale Zusammenarbeit) Regulatory Framework for Promotion of Pro-poor Insurance Markets in Asia (GIZ-RFPI Asia). He added that the pawnshop’s microinsurance unit will not only assist but also help inform the people that there are other products that they can get for financial inclusion. Cebuana Lhuillier forged a partnership with Pioneer Insurance in the third quarter of 2015 to boost its own microinsurance product, Alagang Cebuana Plus. This ‘insurance in sachet’ offers accident and fire insurance coverage of P20,000 ($418.07) and P5,000 ($104.51), respectively, for only P25 ($0.52) in premium paid every four months. The company is also set to launch Alagang Cebuana Gold this March across its network of over 1,800 outlets and more than 4,000 partners nationwide. The new product is a micro-life insurance with a P25,000 ($522.62) coverage requiring a premium of only P120 ($2.51) annually, or P10 ($0.21) per month.